On Tuesday, May 16, 2017, starting at 5:30 p.m. the Oakland City Council will decide a question of urgent priority. The question is whether to establish a Department of Violence Prevention (DVP). Or whether to accept Mayor Libby Schaaf‘s goal to reduce violent crime by a mere 10% using the same old failed methods. A coalition of community groups along with Councilmembers Lynette McElhaney, Larry Reid and Rebecca Kaplan are calling for people to show up at the Oakland City Council meeting. If you cannot make the meeting, you should contact Councilmembers Dan Kalb, Abel Guillen, Annie Campbell, Noel Gallo and Desley Brooks. It’s 1999. I’m standing in front of City Hall with my two young grandsons. Both of them are still in elementary school. We are part of the Acts Full Gospel Church‘s weekly rallies against gun violence in Oakland. The faith community wants the killings in Oakland to stop. We want City Hall to take action to stop the violence in Oakland. 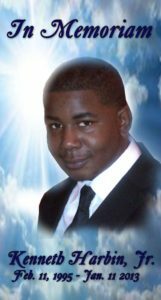 In 2001-2002, there is a rash of killings of young Black men in a part of Oakland known as “Ghost Town.” I sue the City on behalf of the family of 21-year-old Chance Grundy. A man murdered Chance because Chance witnessed a murder and cooperated with the police. The police let it be known that Chance was a cooperating witness. The murderer let it be known that he wanted Chance to “sleep with the fishes.” We lose the case. 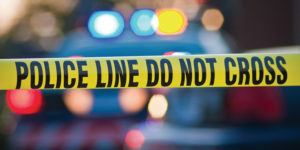 It turns out that (in real life, not like in the movies) the police have no duty to protect witnesses even when they know the witness is in danger. Fast forward to January 11, 2013. My friend Brenda Harbin‘s beloved grandson, Ken Harbin, Jr. is shot and killed. Four people are killed that day in Oakland. In the wake of Ken’s murder, we stand on street corners with Soldiers Against Violence Everywhere (S.A.V.E.). Once again, we ask the City to take action to stop the violence in Oakland. Every grandmother and mother’s nightmare, the loss of a beloved child. A dream struck down and unfulfilled by a senseless act of violence. America’s “gun culture” is totally unique. We own way more guns privately than other countries, and we have the highest gun ownership per capita rate in the world. Gun violence has long been deemed a public health crisis. A March 2016 study in the American Journal of Medicine found that 90% of all women, 91% of children under 14 , 92% of youth aged 15 to 24 years, and 82% of all people killed by firearms in the world were from the United States. In 2010, the number of homicides by guns in the U.S. was at least 9,960. The Centers for Disease Control reported 11,078 firearm-related homicides that year. By comparison, there were only 173 gun homicides in Canada, 155 in the United Kingdom, 158 in Germany and 142 in France. Sweden had only 30 homicides by gun. Japan had only 11 people killed with guns. 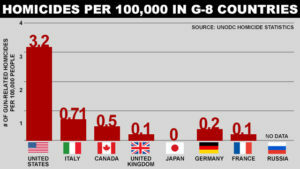 Currently, the U.S. is ranked 4th out of 34 developed nations for the incidence of homicides committed with a firearm. A young man here aged 15–24 is 70 times more likely to be killed with a gun than his counterpart in the eight largest industrialized nations in the world. These include the United Kingdom, France, Germany, Japan, Canada, Italy and Russia. In 2015, there were 372 mass shootings and 33,636 deaths due to firearms in the U.S. That same year, guns were used to kill only about 50 people in the U.K. More people are killed with guns in the U.S. in a day (about 85) than in the U.K. in a year. Efforts to control guns in America have stumbled on the “right to bear arms” clause in the Second Amendment to the Constitution. What is often overlooked is the history of the Second Amendment. It was added as a compromise to protect the slave patrols in the South. The Founders knew the militias were necessary to keep the slaves under control. The Supreme Court has interpreted and protected the Second Amendment regardless of the consequences. In 2002, Michael Moore wrote, produced, directed and narrated Bowling for Columbine. The film highlighted the racist underpinnings of the Second Amendment. However, the Film’s main point, that our violent crime rate is substantially higher than other nations, seems to have been lost over time. Gun violence in Oakland has remained steady. In 1999, the County Board of Supervisors passed a strong gun control law. The Board reacted to a “rash of gun-related violence” in Alameda County. The Board found that “gunshot fatalities are of epidemic proportions in Alameda County.” That law was immediately attacked based on Supreme Court decisions. While the case was pending, the County retreated and announced that gun shows would be allowed on County property. Our Mayor opposes the proposal to create a Department of Violence Prevention (DVP). We need to support the goal to reduce homicides by 80% and achieve an 80% clearance rate within 3 years. The Mayor wants to increase funding for law enforcement, but “budgets are statements of priorities.” Our priority has to be to reduce gun violence, domestic violence and commercial sexual exploitation of our children. We need the DVP. Let’s make 2017 the year that we cure the disease of preventable violence and death in Oakland. We cannot expect different results by doing the same thing over and over again. What The H**l Happened Down There?